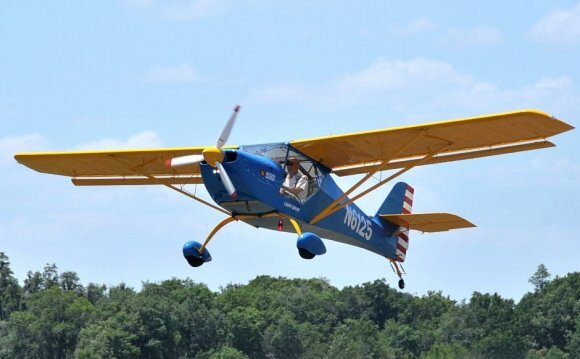 With the advent of the new sport pilot rule, current growth in light sport will create a need for Light Sport Aircraft Repairmen with a Maintenance Rating. If the current trend continues, the number of graduates of the repairman training programs will fall short of meeting those needs. The repairman may also keep a portfolio of his work and apply for authorization to take the A&P written and practical exams for general aviation after working in Field for 30 + months under his own supervision. Rainbow Aviation offers complete Light Sport Aircraft Repairmen Maintenance training programs through our FAA accepted courses for airplane, weight shift and powered parachute. The curriculum prepares its students to take the written exam, given on the last day of the course, to obtain their FAA Repairman Certification. Our program offers students a small student to instructor ratio. Classes consist of 65 percent classroom instruction and 35 percent hands-on practical training. We have several aircraft specifically designated for student repairs on-site at Corning Municipal Airport. Repairman seminars are specialized courses with limited attendance to enhance your learning experience. Additionally, due to the length of the course, participants need lead time to attend. Therefore, NO REFUNDS will be authorized, however, a non-transferable voucher issued to you for the balance of your account toward another training course. A $650.00 fee may apply within 30 days of the course start date. A “no show” will be charged the full workshop fee and not qualify for a voucher. Congratulations Graduates of Oshkosh LSRM Course 2011! Below: The first Light Sport Repairman Maintenance Course completed 3-24-2006. Back row from left to right (standing) : Art Steinbach (Corning, CA), Bill Barden (Sacramento, Ca), Bob Comperini (Wrightwood, CA), Rhett Radford (Groveland, FL), Brian Taylor (Cassopolis, MI), Doug Donaldson (Valley Springs, CA), Rick Wright (Arizona), Dale Newton (East Longmeadow, MA), Brian McCallen (Walkerton, IN), Rick Lach (Kernville, CA), Gary Anderson (Carnelian Bay, CA), Dave Campbell (Anacortes, WA), Danny Tyre (Hahira, GA).